VR or Virtual Reality has grown exponentially in popularity over the past few years. Virtual Reality is a fully immersive media that can be viewed through a VR Headset specifically designed for that purpose. The most affordable VR Headsets use mobile devices that are placed into the headset, splitting the screen into stereoscopic images. When looking through the headset the images merge into a single image for the viewer wearing the headset. These virtual reality headsets range in price from about $15 dollars (Google Cardboard) to several hundred (Oculus Rift). The affordability of these devices has made VR accessible to people of all incomes and ages. Affordability and accessibility have made VR the most popular gift for the Christmas season in 2016, and that trend doesn’t appear to be slowing down anytime soon. Click on the above image to view our Highlights Style 3D VR Tour and the below image to view our Walkthrough Style 3D VR Tour. Be sure to view on your mobile device using a supported headset. RTV offers both a fully immersive Walkthrough style VR Headset tour as well as a Highlights style tour. A live demonstration of each technology style is available for previewing above. Our Highlights style requires fewer images and less production time but is not as interactive. The Walkthrough style is great for larger spaces and allows the viewer to literally “Look and Navigate” through your space. Whether you are a business owner ordering a production from RTV or you are a professional photographer adding Real Tour Vision’s virtual tour software to your service offerings we have the production that will work perfectly for you and your marketing budget! All RTV virtual tour productions are easily linked or embedded onto websites and online business listings and they can be shared on social media and through email. Professional photographers and virtual tours providers alike will love showing off our new 3D VR Headset tours which work with ANY gyro enabled smart phone. This technology is a game changer. Because special equipment is not required to view virtual reality tours, you can simply send your standard virtual tours links to your customers and the 3D VR Headset tour becomes available in the lower corner of the virtual tour window. From desktop to headset with the click of a button! It’s that easy with our virtual tour software technology. Contact us by filling out the form below to find your local 3D VR Headset tour provider in your area, or to learn how you can create these powerful virtual tours on your own. Great for Businesses Too – Show it Off! Hotels, restaurants, vacation rental properties, and literally any other type of business will benefit greatly from our 3D VR Headset tours. Allowing customers to check out the atmosphere, and cleanliness of your facility before committing is a great way to increase top of mind awareness and a sense of comfort. With the VR market share increasing every day, now is the time to get ahead of the competition! Businesses who order a Google Street View tour from one of our Google Certified photographers will get the benefit of a walkthrough tour that can be found directly on the Google search results page. 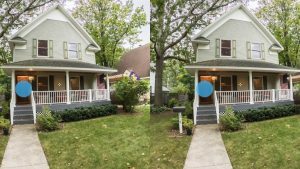 Savvy customers likely already know that a Street View tour can also be viewed as a VR headset experience, but those who are not as familiar with the Street View program may not realize this. 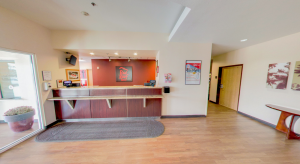 Additionally, virtual tours are not as easy to find on Google as they once were so at RTV we always recommend getting both a Google Streetview style virtual tour as well as a Fusion based virtual tour. Fusion based virtual tours offer a wide variety of features to real estate agents and business owners such as printable flyers, lead capture, weekly traffic reporting so you know where the tours are getting the most traction, professional voice-overs, music and much more. Fill out the form below and we will discuss your virtual reality needs.